If you are leaving your rabbit with a sitter while travelling, fill out this convenient sheet and hand it to them along with the rabbit. It contains vital information that will help them take good care of your bun while you are away. Print, cut, fold, fill out, and place inside your wallet. In case of an emergency that keeps you away from home, people can take steps to make sure your bunnies get taken care of. Print one for each pet. There are many surefire ways to make bunnies mad and this is our Top 9 list for everyone to download and print. This makes a fun poster or handout. Free png with transparent background provided by Frankie Freeman in honor of her late bun Marley. High Resolution. Can be used for a variety of projects. 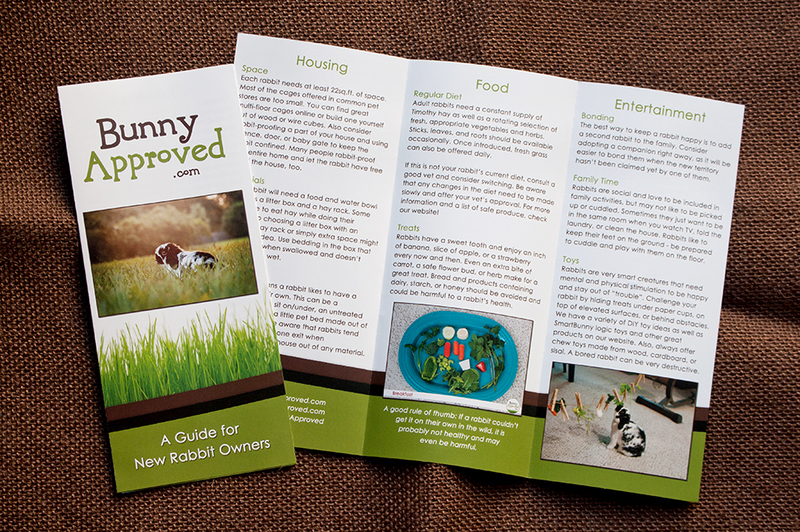 Please Note: You are welcome to download and share or print the brochure at your own expense and risk without notifying Bunny Approved, LLC. The brochure was designed with guidelines from the company UPrinting and is 11″x8.5″. If you are a rescue or shelter feel free to request free copies!